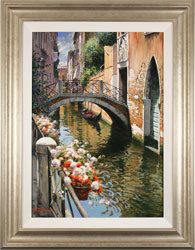 The Colomb Art Gallery offers high quality delivery and shipping for all artworks throughout the UK and worldwide. We have regular shipping to the USA, Canada, Australia, China and Japan via our preferred partner UPS. From the most expensive works of art to our most moderately priced items, all shipping is competitively priced, securely packaged and insured for a safe delivery. Shipping costs are calculated on the size and weight of the artworks and your destination address. To calculate the shipping costs to your country please either do so online through our shopping basket or telephone the gallery on 020 7607 6537. Delivery Times & Shipping Offers. Free delivery within Greater London for all purchases. For further information, please contact The Colomb Art Gallery by telephone on 020 7607 6537 or Contact Us.